From Disney animator Frans Vischer comes the story of Fuddles, a lazy housecat who finally sneaks out for the first time in his life and gets wrapped up in an adventure he never expected! Fuddles is a fat, lazy housecat who’s never been in the Great Outdoors. One day, his humans leave the door open a crack and Fuddles seizes the chance to slip out, but things aren’t quite as he expected. In a series of hilarious mishaps, including a run-in with the neighborhood dog, he realizes that life as he’d known it was actually pretty good. 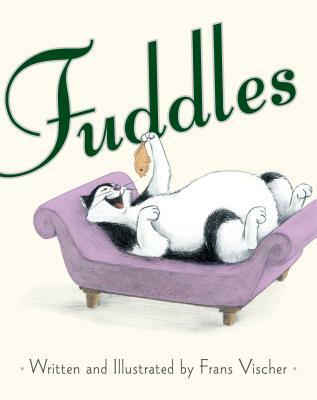 Told with deadpan humor and charming art, Fuddles is sure to steal readers’ hearts.